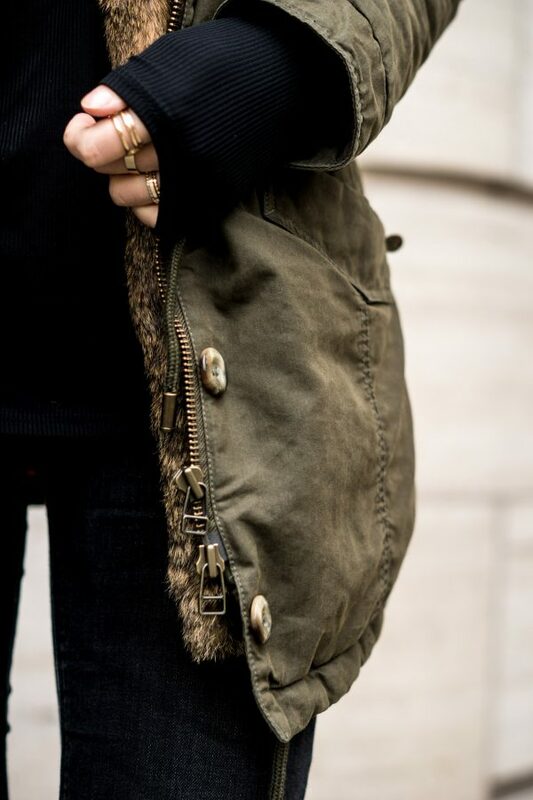 IQ+ Berlin Parka || How to wear a parka in autumn? Those who follow me on Instagram already know that I visited the IQ+ Berlin Pop-Up store in Berlin almost two weeks ago. I’ve known this brand for a couple of years now; I think it was during my two weeks internship in school about 8 or 9 years ago when I first saw their parkas in a magazine. Since then I wanted one of their parkas, but I never bought one. I was so happy when I got the chance to visit their Pop Up Store in Berlin, to see the collection and to choose my favourite piece. 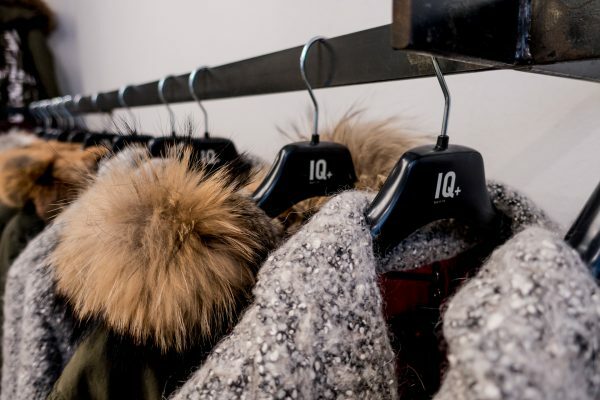 In October, IQ+ Berlin opened its first Pop Up Store and, of course, it’s in Berlin! It’s located in Berlin-Mitte, Rosenthaler Str. 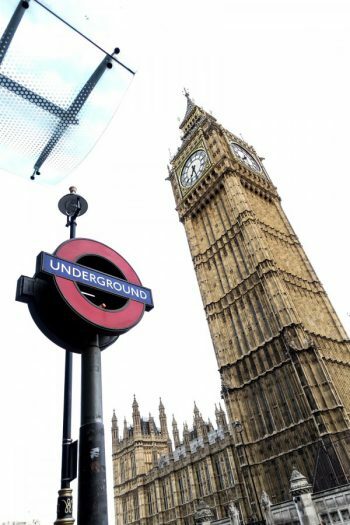 66, and you have the chance to visit it until the 30th of January in 2017. 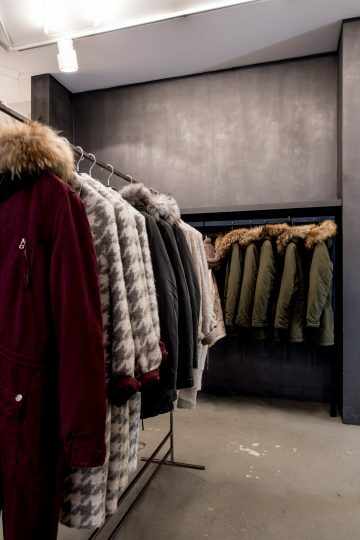 You can try on their parkas, wool coats as well as bomber jackets and limited editions, that are only available in the store. It’s always easier to choose the perfect piece when you have the chance to try it on in a store. 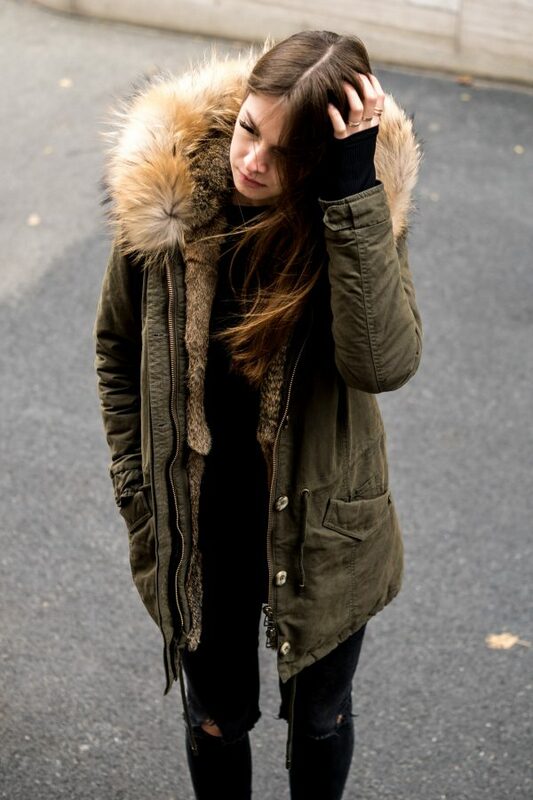 I always knew which of the parkas I like best just by seeing the pictures, but I didn’t know how it would look like on me. I spent about two hours at their store and tried on every single parka they have. I just couldn’t decide, because they’re all so nice. In the end, I went for the basic parka, and I couldn’t be happier with this decision. 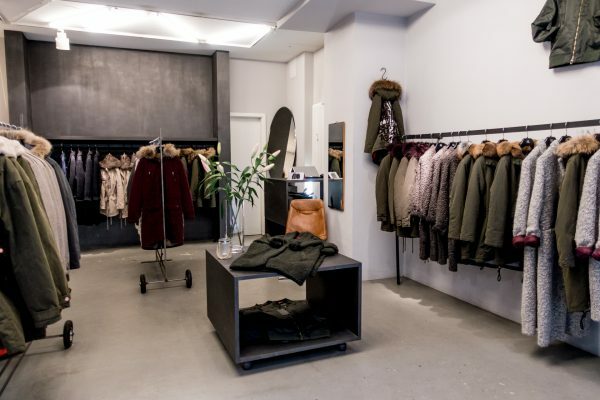 In the following, you can find the first outfit pictures we took, and I also took some pictures of the store, so you can get an idea of what it looks like and, of course, what other pieces IQ+ Berlin has to offer. 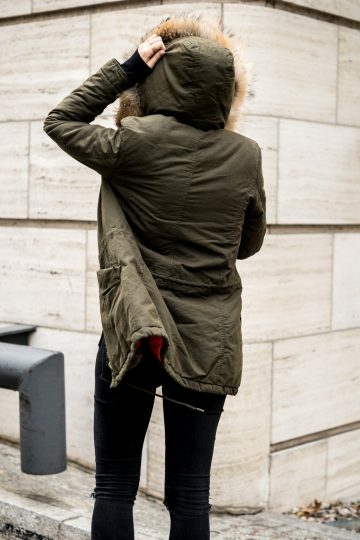 The Basic IQ+ Berlin Parka is the perfect casual basic piece for autumn and winter. It’s available in different colours, but I went for the green one. I usually wear black or grey, and it’s much easier to combine these two colours. When I visited the Pop Up Store, I also tried on the grey parka, but the green one looked so much better on me. Once again I thought about possible outfit combinations, and I first wasn’t quite sure how to combine the green parka. Well, I already have two green parkas in my closet I’ve been wearing a couple of times. The first outfit that came to my mind was an all black one once again. But I also would combine it with white pants or blue denim. But it’s obvious, that I opted for the all black outfit when I was wearing my new parka for the first time last weekend.